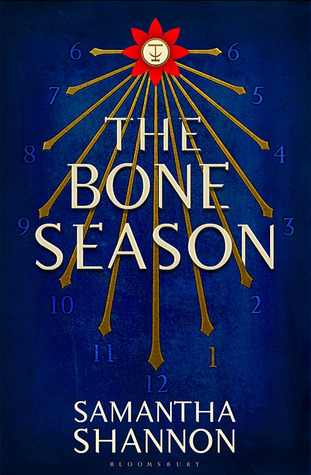 The Bone Season by Samantha Shannon hit the market last week on a wave of good buzz. The first in a planned seven-book series, it's already been optioned for a movie and has been on many book readers' radars all summer as a possible splashy successor to The Hunger Games or Harry Potter. I'm here to tell you that this much-hyped novel by the 21-year-old Shannon is ... pretty OK. It's got the best-selling formula down: a spunky young gift with a special gift — specialer than anyone else's gifts! — is put in a situation in which she has to rebel against the corrupt powers that be in order to survive. She's prickly and not always likable, but darnit, she's tough and courageous and you root for her to come out on top. Of course that all sounds familiar, although the details grafted onto this well-tread storyline are certainly unique. Nineteen-year-old Paige Mahoney is a clairvoyant living in an alt version of near-future London in which the psychically gifted are hunted down and executed for their special abilities. This persecution began in the Victorian era, and now Londoners live in a strange hybrid time that mixes Victorian dress and slang with modern technology, and in which cruel torture and public hangings are common. Then, a few chapters in, things start to get really weird. This twist, which I'm being vague about because I think it's more fun to discover on your own, launches the story in an entirely new trajectory. Paige encounters brutal violence and indifferent cruelty while struggling to survive in a world that's very different from the one she thought she understood. And here's the best news: There is no dopey love triangle. Rejoice, everyone! Rejoice! The book's biggest problem is its lingual complexity. Paige is a dreamwalker who can touch the aether (the spirit world) to move in and out of people's dreamscapes (that is, their minds) and is living under the protection of a mime-lord (AKA clairvoyant gang leader) and dodging the lethal agents of Scion (that's the oppressive government regime). She's one of the Seven Seals, living in I Cohort, Section 4, and serving as her gang's mollisher (your guess is as good as mine). 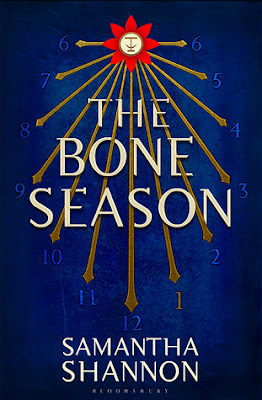 The Bone Season does have an interesting plot, and Shannon can write a heck of a fight scene, but it wasn't a book that I was compelled to keep reading from chapter to chapter, nor way I overly annoyed when I had to put the book down. (In comparison, heaven help the person who interrupted me during Daughter of Smoke and Bone.) Shannon obviously has big plans for her world, and now that the first book has done the dirty work of pelting readers with the vocabulary and the world-building, I'm hoping that her sequels will be a little more fleet of foot. I'll follow Paige on her next adventure, but Shannon has to tighten up her writing if she wants me to stick around for six more books.